BROWNSBURG, Ind. -- The Brownsburg Community Schools board voted to accept the resignation of an orchestra teacher who refused to call transgender students by their preferred names. John Kluge attempted to rescind his resignation before it was accepted after claiming that he was forced to resign because of the school’s transgender policy. 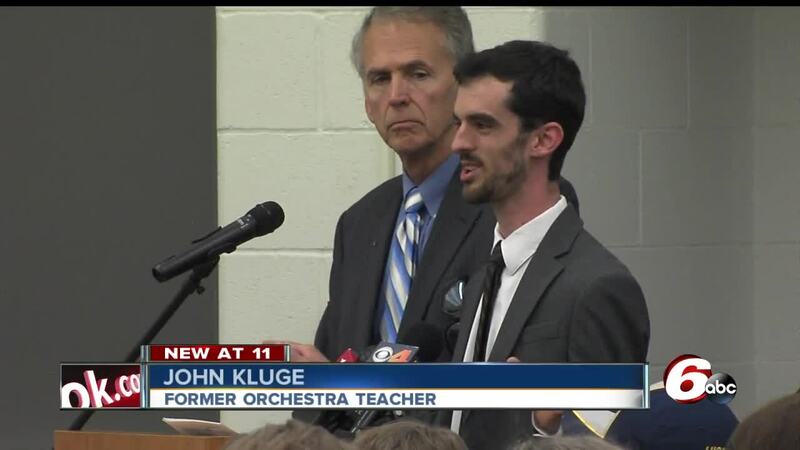 Dozens of students and parents gathered at the school board meeting Monday evening to share their support and concerns regarding Kluge's job and the school board's decision. Kluge has said the district’s requirement that teachers call transgender students by their preferred name instead of their birth name goes against his religious beliefs. Some parents and students who spoke in support of Kluge argued that parents were left out of the process when the transgender naming policy was made and that his teaching style and care for his students should rise above his personal beliefs. “Getting rid of someone because they don’t agree with you isn’t the cure for this,” another mom said during her time in front of the board. A former student, now studying music education in college, says “Mr. Kluge is the teacher Brownsburg needs.” She says he’s overqualified for his job at Brownsburg High School, knowledge and fair. Aidyn Sucec, 15, is one of several transgender students who say kluge refused to call him by his chosen name. “By refusing to call my child by his name because of his beliefs, (Kluge) is saying that he knows better what is right for my child than I do,” Laura said.